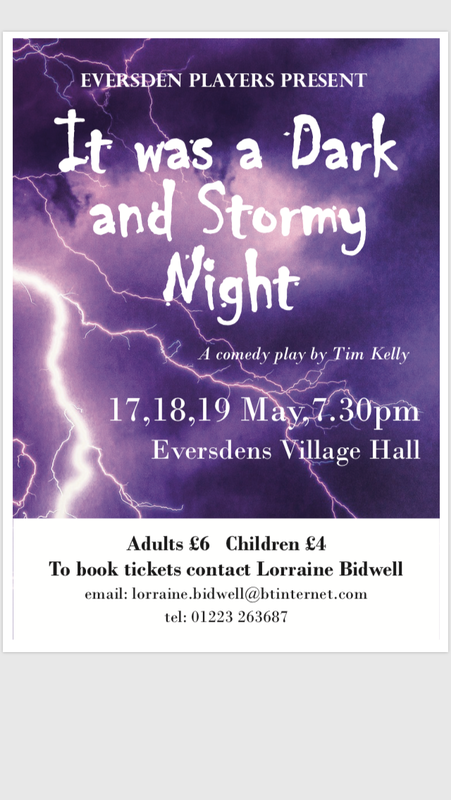 While not in Haslingfield ,some villagers may be interested in the performance of the Eversdens Players in their village hall on 17, 18 & 19 May. More details when you click the poster. If you prefer to stay in the village , or have a double dose of theatre, Haslingfield little Theatre are also performing on the same dates, Role Play by Alan Ayckbourn- make it a double!